We'll be heading out with Dropkick Murphys this Fall. The coast to coast tour kicks off September 20 at the Mass Mutual Center in Springfield, MA. Joined by Hatebreed on most dates, plus special guests Amigo The Devil and Russ Rankin of Good Riddance on select dates, the tour wraps October 15 at the WAMU Theater in Seattle, WA. Tickets for most dates go on sale Thursday, April 18. ”JP wears pantaloons, Dan’s got horns, and Tim throws up on my face” says frontman Neil Fallon. “I’m pretty sure we all deserve Academy Awards." 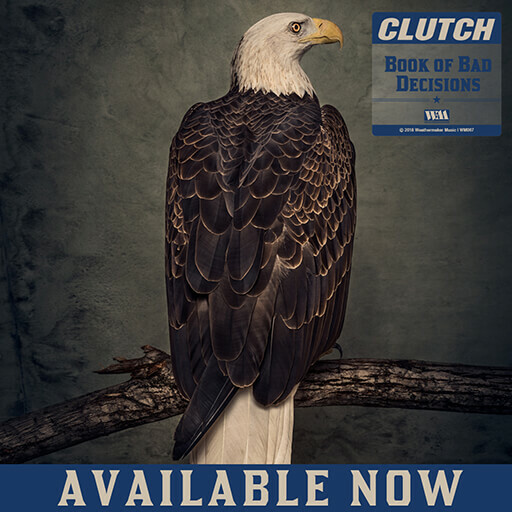 Clutch will be starting their Winter tour next week in support of Book Of Bad Decisions. Tickets are on sale now at this location: https://clutch.lnk.to/TourLink. Clutch annual “Holiday” tour dates for December with The Messthetics,Lionize and Mike Dillon Band supporting the tour. The “Holiday” tour starts December 27th and ends with their New Years Eve show in Cleveland on December 31st. Jean-Paul Gaster, on the package said, "We are very excited to have our friends Lionize, The Mike Dillon Band and The Messthetics be a part of this year’s Clutch Holiday Run. Each band brings something special to the bill and with so many great players in one place there’s bound to be some surprises. Come out early and celebrate with us!" Thu/Dec-27 Baltimore, MD @ Ram's Head Live!